Candles flickering flames push back the darkness, revealing that which is hidden to our eyes. They have long been a way of lighting our holy places, our homes, and to give us a sense of protection when things are hidden. In this candle magic working, we’ll be drawing on their ability to reveal things hidden in the dark, to show us images in its flickering flame. How To Do Candle Magic For Clarity Of Vision? The dark purple candle is being employed in this for its tie to the third eye chakra, the source of consciousness and the awareness of higher planes and great vision. The purpose of this spell is to open this chakra and our psychic center, to bring about a clarity of vision and the ability to see and hear things normally hidden to us. Our basic set-up to do a reflection based scrying is to mark the candle with the Dagaz rune, and the word most closely tied to that information. This could be a person’s name, it could be something like “traitor”, “thief”, or “love” if that is what you seek. 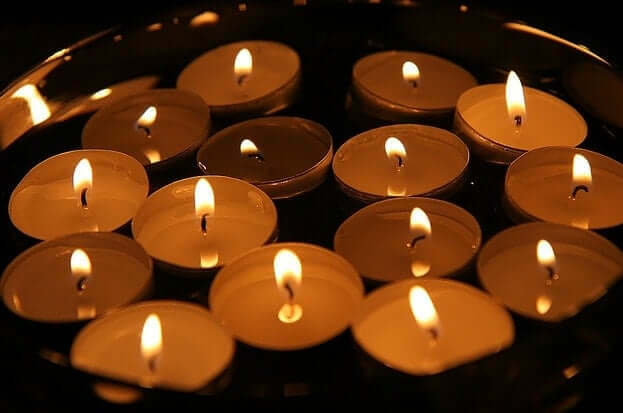 That being done, you should anoint the candle with the bay laurel oil, and place it in a candle holder where its flame can be seen in a reflective surface. The two best options are a black mirror, which can be anointed with the oil. You will take the oil and mark the Dagaz rune across the mirror with your fingertip. Barring this, drip the oil into a bowl of water. The color of the bowl should be dark, so that it appears you are peering into a blackness. Smooth black glass or ceramic is by far the best choice for such things. Light the candle, and check that it is reflecting as intended, and then light the incense on either side of the reflective surface. As the smoke curls into the air, peer into the reflection of the flame, allowing your eyes to become unfocused. You will not be seeing with your physical eyes, but with the third psychic eye. Within the reflection, within the glass or the water, you may see images appear, revealing those things you wish to see. If you find the messages unclear, if you can’t quite figure out what they’re precisely trying to tell you, the elements of dream imagery are often useful in determining what these images were trying to tell you.